Bee Gees star Robin Gibb dies at 62 | What Hi-Fi? Bee Gees singer Robin Gibb has died from cancer at the age of 62. His family made the announcement with "great sadness". The British-born singer's musical career began when he formed the Bee Gees with his brothers Barry and Maurice in 1958. The group are among the biggest-selling of all time with hits spanning five decades, including Stayin' Alive, How Deep Is Your Love, Massachusetts and Night Fever. 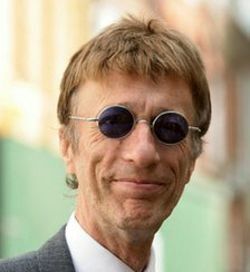 Gibb's family said in a statement: "The family of Robin Gibb, of the Bee Gees, announce with great sadness that Robin passed away today following his long battle with cancer and intestinal surgery. "The family have asked that their privacy is respected at this very difficult time." Last week American disco singer Donna Summer died of cancer aged 63.